1 Advertise your web site with banner ads that are animated and include a call to action. You must grab people's attention and get them to click. For example, you could have flashing lights like they use in Las Vegas. Another example, you could use "Click Here Now" or "Click Here To Visit". 2 Use pop-up windows or advertisements on your web site. They grab your visitor's attention because they jump right out at them. For example, you could use one to get people to subscribe to your free e-zine. Another example, you could offer them a surprise bonus for buying in the next few minutes with a timer counting down. 3 Buy Internet business books, e-books, private site memberships, etc. Study and learn all the new web site promotional ideas you can. For example, take notes either while you’re reading the e-book, or afterwards. Write down a list of tips you could apply or use for your own business. 4 Analyze all your promotional efforts. Concentrate on the ones that work and drop the ones that don't. Don't waste your valuable time. For example, if you have an affiliate program that hasn't made a sale for two months, drop it or test a different ad. You want all of the ‘real estate’ space on your web site making some kind of profit for your business. 5 Get the most from each one of your visitors. Ask them to subscribe to your e-zine, participate on your message board, bookmark your site, etc. One of the most effective ways to persuade people to do anything is to give them a freebie or strong benefit for taking the action you want them to. For example, "Get 4 Free Profitable E-books For Subscribing To My E-zine!" 6 Use text links if your banner ads are not pulling traffic. People don't ignore text links as much as they do banner ads. You should treat your text link like a sales letter headline. For example, "How To ...”, “FREE...”, “Breaking News!....” “Warning!....”, “....Exposed!” etc. 7 Trade content with other e-zine publishers or web sites. This is a powerful and effective way to place your links on other targeted web sites. For example, trade articles with other e-zine publishers. Another example, you could trade free e-books and give them away to each other. 8 Keep your product available for your customers at all times. If you have to back-order it, they may end up canceling their order. For example, you could say on your web site "Always In Stock", "Products On Hand", " No Shipping Delays", "Always Available", etc. 10 Add a message board or chat room to your web site. If people enjoy it, they will revisit your web site to participate regularly. For example, if someone visits your message board and asks a questions, then later on someone answers it, that person will come back and visit if they ever have another problem. 11 Allow people to reprint your articles on their web site, in their e-zine, newsletter, magazine or e-books. Include your resource box and the option for article reprints at the bottom of each article. For example: “Larry Dotson is the co-author of "Subconscious Internet Marketing". 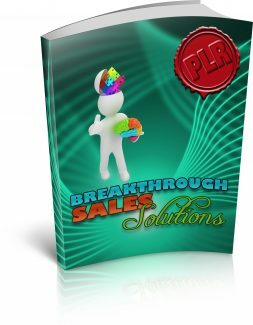 Inside this e-book you'll learn 746 reasons why people buy your products! Visit: http://www.subconsciousinternetmarketing.com Feel free to reprint this article on your web site or in your e-zine, just include the resource box.” 12 Allow people to use any of your freebies as free bonuses for products or services they sell. Include your ad on all your freebies. Some people only give away freebies in order to allow other people the right to give them away. You could also give them the right to include a freebie with their own product as a bonus. For example, "Feel free to use this free e-book as a bonus product!" 14 Allow people to sign up for a free web site on your server. Since you are giving away the space, require them to include your banner ad at the top of the site. For example, you could say, "Get 20 MB Of FREE Web Space In Exchange For Placing Our Small Banner At The Top Of Your Web Site!" 15 Allow people to add their link to your free web site directory. Just require that they return a link back to your web site, advertising your directory. For example, you could say, "Add Your Own Listing In Exchange For Linking Back To Our Web Site!" Another example, "Add Your Own Listing! All We Ask Is That You Link Back To Our Web Site." 16 Allow people to include your free online service on their web site, visitors, or e-zine subscribers. They could be free e-mail, e-mail consulting, search engine submissions, etc. For example, you could say, "Offer This Free Service To Your Visitors By Just Linking To Our Web Site!" 17 Allow people to give away your free software. Just include your business advertisement inside the software program. For example, you could say, "This Free Software Is Brought To You By (your business information)" Another example, "This Free Software Is Made Available By (your business information)." 18 Allow people to give away your free web design graphics, fonts, templates, etc. Just include your ad on them or require people to link directly to your web site. For example, require people to place a small note under the graphic or at the bottom of their web page like "These graphics are from (your business information)." or "This template is copy- righted by (your business information)." 19 Allow people to place an advertisement in your free e-book if, in exchange, they give away the e-book to their web visitors or e-zine subscribers. Wouldn't you choose to give away something that gave you benefits? For example, you could say, "Give Away This Free E-book And Customize It With Your Own Links!" 20 Allow people to give away your free e-book to their visitors. Then, their visitors will also give it away. This will just continue to spread your ad all over the Internet. For example, 5 people give it away to 5 people each, and those 25 people give it away to 5 people each, and those 125 people give it away to 5 people each. It just keeps going! That's 755 people viewing your ad for free and without you doing much work.